PEORIA – ARPIL 2, 2019 – Peppa Pig, George and their friends are back with a brand new live show, Peppa Pig’s Adventure. The latest rendition of Peppa Pig Live!, one of the most successful family theater tours in North American history, will visit cities coast to coast in the United States including Peoria, IL on Thursday, October 17 at the Peoria Civic Center. Tickets are on sale on to the public beginning April 5. The Peoria Civic Center, an SMG managed facility, is an entertainment and convention venue that contributes significantly to the economic impact on the downtown Peoria area. 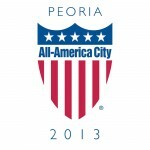 For the most up-to-date event information, visit www.PeoriaCivicCenter.com. Founded in 1977, SMG provides management services to 243 public assembly facilities including convention and exhibition centers, arenas, stadiums, theaters, performing arts centers, equestrian facilities, science centers and a variety of other venues. With facilities across the globe, SMG manages more than 19 million square feet of exhibition space and more than 1.5 million sports and entertainment seats. As a recognized global industry leader, SMG provides venue management, sales, marketing, event booking and programming, construction and design consulting, and pre-opening services for such landmark facilities as McCormick Place & Soldier Field in Chicago, Moscone Convention Center in San Francisco, Houston’s NRG Park and the Mercedes-Benz Superdome in New Orleans. SMG also offers food and beverage operations through its concessions and catering companies, currently serving more than 140 accounts worldwide. For more information visit www.smgworld.com.